RT Bank provides various and private banking products and services that meet our clients’ needs and requirements. At RT Bank we place our business customers at the center of every transaction. Our relationship with you is what matters. It's our approach to help you and your business succeed. Need to do your banking on the go? We've got you covered. online banking allow you to bank anywhere, anytime - your way! Click for more information. Erbil Main Branch (3 ATMs) Erbil - Head Office Building, Gulan Street. Erbil Main Branch (2 ATMs) Erbil - Head Office Building, Gulan Street. Majidi Mall Erbil - Kasnazan Street. Family Mall Erbil - 100m street. Pepsi Company Erbil - Makhmoor Street. Erbil International Hotel Erbil - 30m street. Tablo Mall Erbil - Kerkuk Street. Ankawa Erbil - Muntazah Street, Next to Pattaya Hotel. Park View Complex Erbil - next to View Market - Airport Street. RT-Bank Duhok Branch Duhok - 11 Aylul Street, old Korek intersection. RT-Bank Kirkuk Branch Kirkuk - opposite to children Hospital, Governorate Street. Duhok Mall Duhok - Duhok, KRO Street. Family Mall Duhok - Tenahi, Duhok. RT-Bank Slemani Branch Sulaimania - Mawlawi Street, Social Security Building. Family Mall Sulaimania - Slemani, 60m street. Majidi Mall Sulaimania - Slemani, next to Governorate. Region Trade Bank for Investment and Finance started its operations on July 2001 as a locally owned, independent bank servicing the Kurdish community of Northern Iraq. The first branch was opened in Dohuk city. 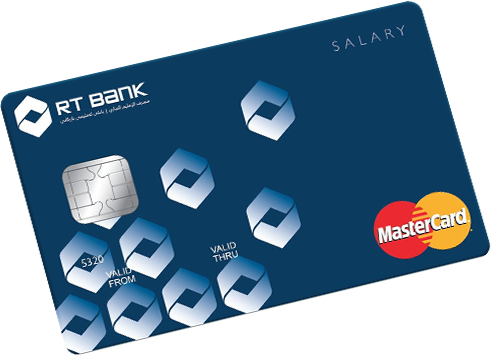 Despite the risky situation and the multiple barriers prevailing at that time, RT Bank succeeded in offering various banking services including money transfers through intermediates in Turkey. RT BANK will only contact you regarding your enquiry and your details will be deleted after an appropriate period of time.